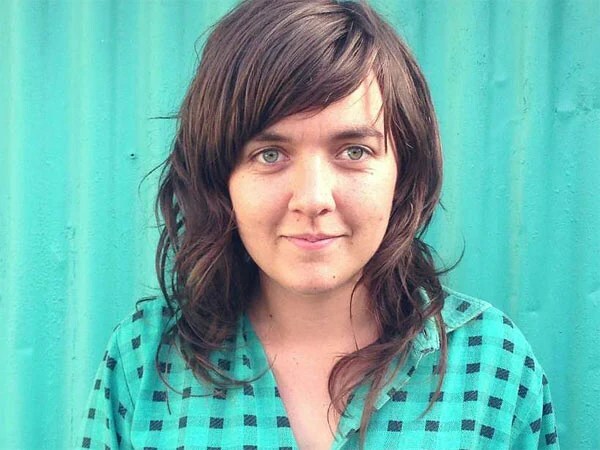 Courtney Barnett – True Blue Aussie Sheila-type, yeah? “Courtney Barnett… The singer-songwriter, who is from New Zealand, will start her run of live shows in Newcastle… ” wrote English music magazine NME recently. “No way,” was Barnett’s reaction when I told her, “That’s hilarious! Am I good enough to be a Kiwi? Maybe better!” Barnett, who’s actually from Sydney, via Hobart and now resides in suburban Melbourne is planning to front up in Godzone shortly, when she tours her Double EP (not actually an album, she points out) called A Sea of Split Peas. The debut caught the attention of music lovers and critics, with Rolling Stone comparing the emerging songwriter to “early Bob Dylan,” while NPR described Barnett as “laconic, funny and charming.” The odd tile was inspired by eating lentil soup, whilst drawing the cover – a reproduction of a Japanese print of a tsunami wave “…and I just wrote the title underneath – I thought it would be puzzling and intriguing”. However the most eye-opening song on the album has a back story behind ‘Avant Gardner’, about becoming sick from heat exhaustion when gardening in 40 degree heat. It’s a simple but alarming illustration of how she becomes overcome by the heat as she cleans up the back garden – also a metaphor for moving on from a bad relationship, I wonder. Barnett is reluctant to answer that but she can hint that she’s never been good at resolution. “I guess I was never that good at breathing in!,” “It’s a true story. I can’t really explain it more that the song does, I guess. It’s a bad thing that happened. Looking back a couple of weeks later I saw the funny side and, yeah!” Musically, Barnett’s touch stone is early 1990’s alt pop like Juliana Hatfield and the Breeders. “I guess I kind of (resonate) with that stuff. I like a lot of that stuff. When I started out I tried to write songs like that – cool songs. But I never really liked the outcome. And then I went through a couple of years of not listening to any music. Then I returned to it and just tried to forget what I knew and write naturally and that’s where I found my comfortable writing voice.” Influences that informed …Peas ranged from Jonestown, to the Velvets, to the Band to Bowie – “all over the place – different elements creeping in”. Sonically, the ‘flavour’ of the first 6 tracks (EP no.2) benefits from the overwhelming presence of Dan Luscombe (The Drones), whose haunting guitars are all over the place. Barnett has already had a big year – hanging with Steve Tyler on Jimmy Fallon; touring with Billy Bragg on his Aussie leg; playing shows with Kurt Vile and Sharon Van Etten; a string of major festival appearances including Coachella, The Great Escape, and Glastonbury. And, of course, a Kiwi impersonation whilst performing in the UK. And now she’s heading here for a wee look around and a show or two. “I’ll have my band in tow so that will be great. I had extra friends on the eps but the core players will be there. We play as you hear it, no fancy gimmicks, all us. Genuine.” All true blue, indeed.